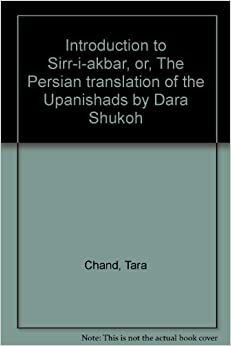 Dara Shikoh was eldest son pf Islamic ruler King Shah Jehan ,who happens to translate UPNISHAD of Indian Vedas and basically telling that Islam book, that is called Hidden book is basically Quran. He had learned Sanskrit and studied the Hindu scriptures in the original. In his Majma-al-Bahrain, he sought to reconcile the Sufi theory with the Vedanta. He was able to affirm that Sufism and Advaita Vedantism (Hinduism) are essentially the same, with a surface difference of terminology. And in introduction to this work he says that one finds in Upanishads the concept of tawhid (the doctrine of Unity of God, the most fundamental doctrine of Islam) after the Qur’an and perhaps the Qur’an refers to Upanishad when it refers to Kitab al-Maknun (The Hidden Book). His work Majma-al-Bahrain (Mingling of the Two Oceans i.e. Hinduism and Islam) is very seminal work in the history of composite culture of India. Two years after the completion of the Sirr-i-Akbar, Dara was executed on the orders of his younger brother Aurangzeb, most cruel Muslim king of that time with help of all who wanted to hide facts from fiction created by Mohammed.